Yes every single one of you in the tri-state area. 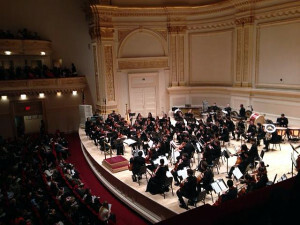 Yous needs to do yousself the favor and go to Carnegie Hall this Sunday at 2pm for the New York Youth Symphony Orchestra’s concert. They are so spectacular you will not believe they are all 20 or younger. AND the program includes Rimsky-Korsakov’s Scheherazade, Op.35!!! If you have never seen a live orchestra concert, or not in a long time, or your kids haven’t, go see it. 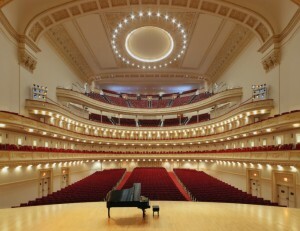 Every seat is $20, at Carnegie Hall! 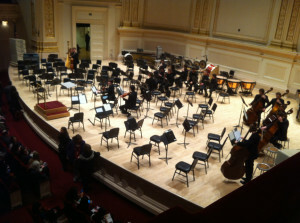 It is the best $20 ticket in NYC. Recently selected as a BBC New Generation Artist, Elena Urioste has been hailed by critics and audiences for her rich tone, nuanced lyricism, and commanding stage presence. Since making her debut with the Philadelphia Orchestra at age thirteen, she has appeared with major orchestras in the U.S. and abroad, including the London and New York Philharmonics, the Cleveland Orchestra, the Boston Pops, and the Chicago, Atlanta, Detroit, Pittsburgh, and National symphony orchestras. Elena has collaborated with acclaimed conductors Sir Mark Elder, Keith Lockhart and Robert Spano; pianists Mitsuko Uchida, Christopher O’Riley, and Michael Brown; cellists Carter Brey and Zuill Bailey; and violinists Shlomo Mintz and Cho-Liang Lin. She has been a featured artist at the Marlboro, Ravinia, and La Jolla music festivals, among others. The New York Philharmonic has announced that Joshua Gersen has been appointed the orchestra’s new Assistant Conductor, commencing with the 2015/16 season. Gersen will continue to serve as music director and principal conductor for the New York Youth Symphony concurrently with his newly appointed position at the Philharmonic.